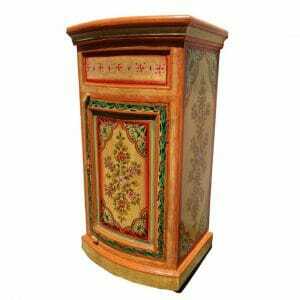 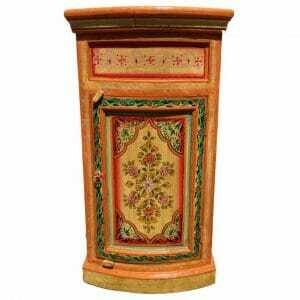 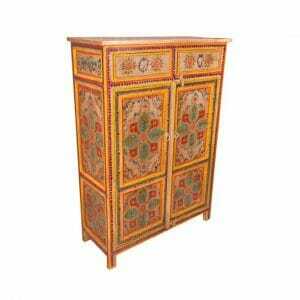 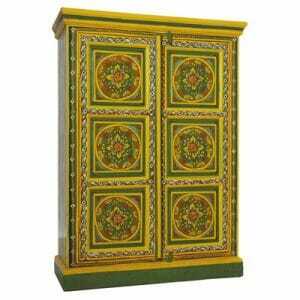 A magnificent item, this red and green mandala side cabinet is decorated in rich detail with floral and geometric patterns. 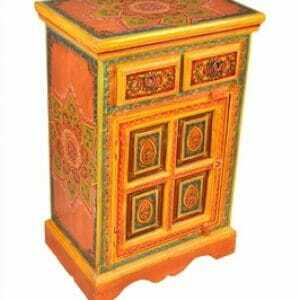 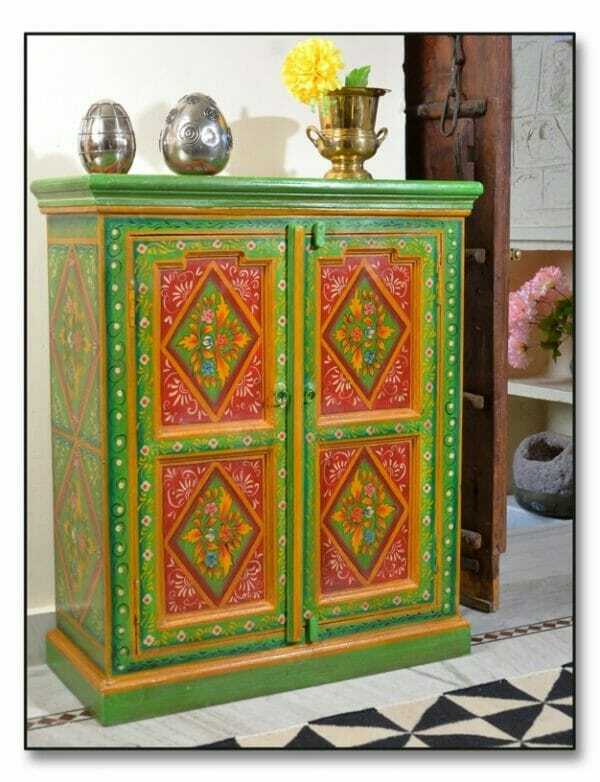 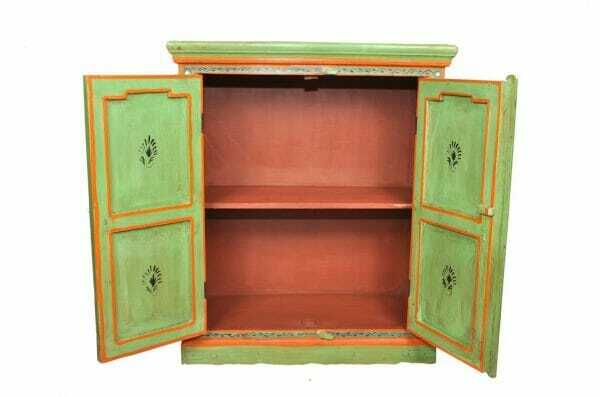 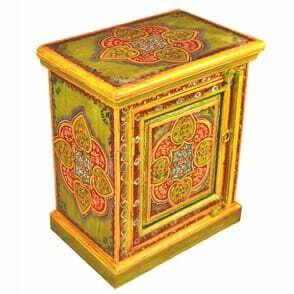 The combination of red, green and details of yellow turn this Indian cabinet into a vibrant piece that is alive with the spirit of India. 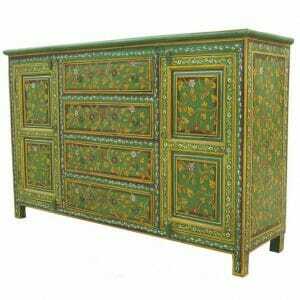 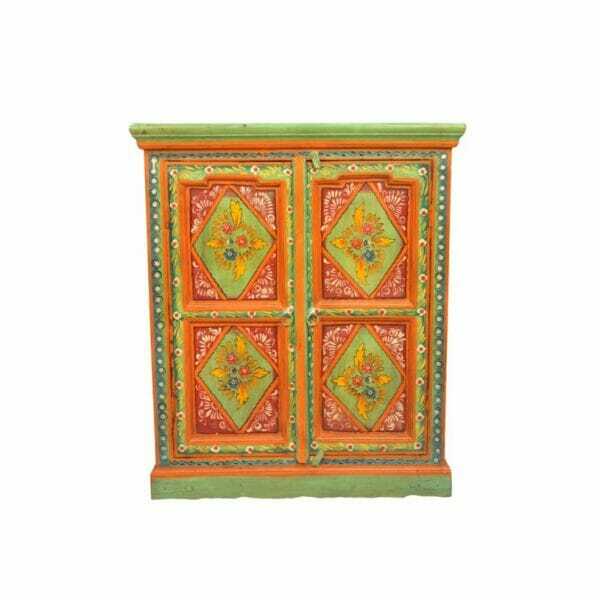 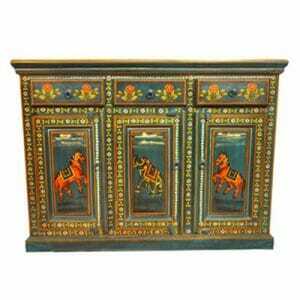 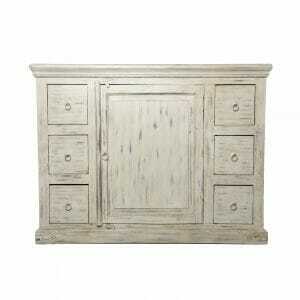 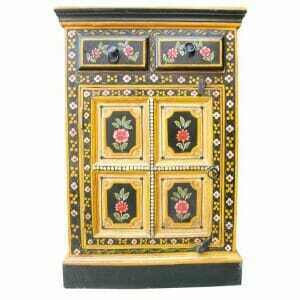 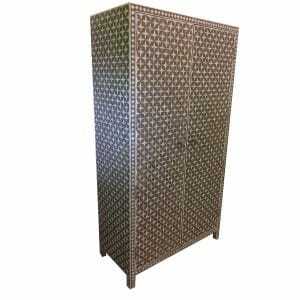 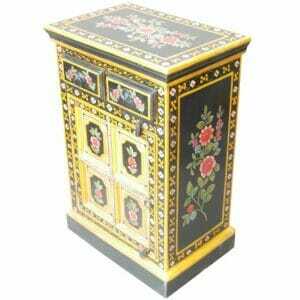 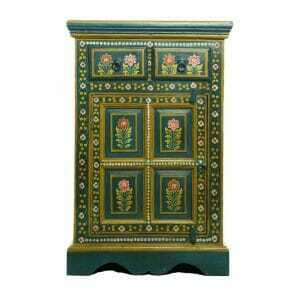 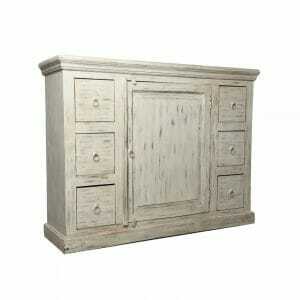 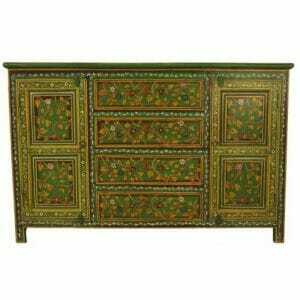 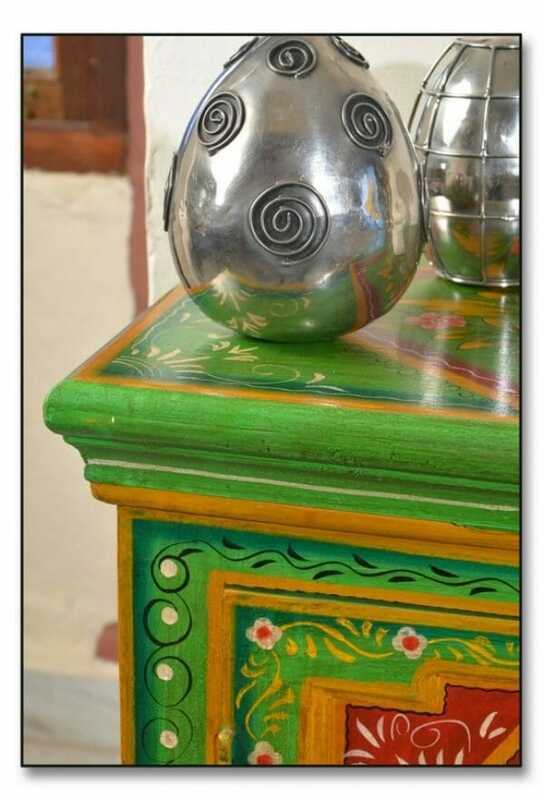 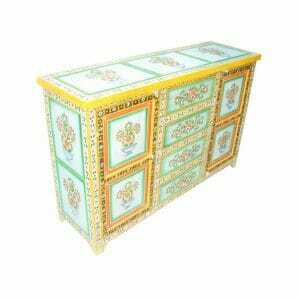 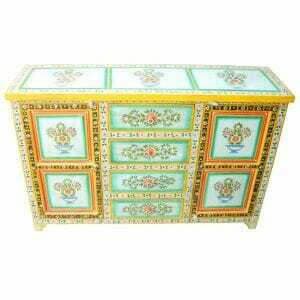 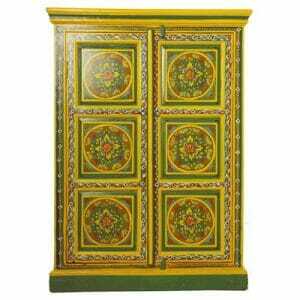 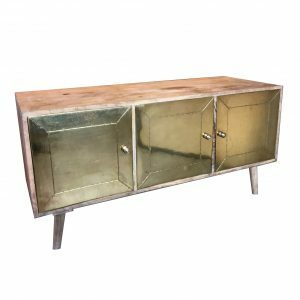 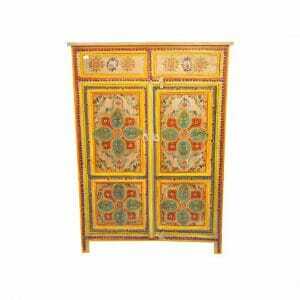 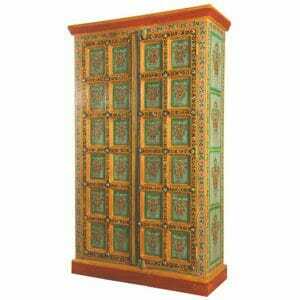 This hand-painted cabinet is sure to make an exquisite addition to any stylish space. 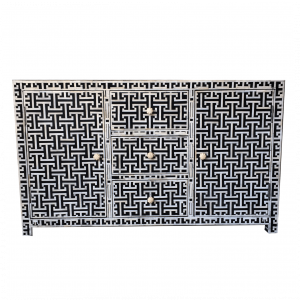 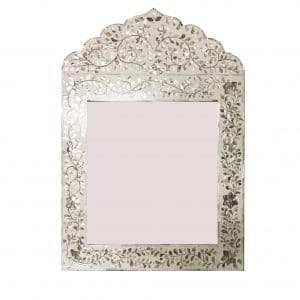 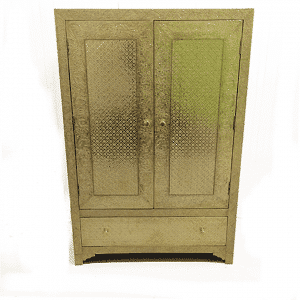 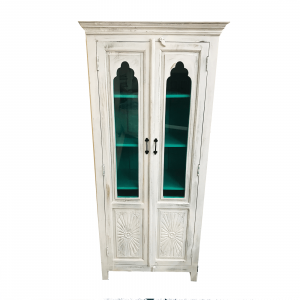 Featuring two doors, antique metal door pulls and an inner shelf, this mandala side cabinet is excellent as a stylish small storage solution, and would complement the interior of any bedroom, living room, or any space where a side cabinet is needed. 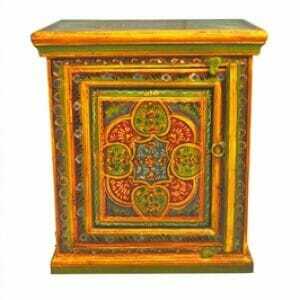 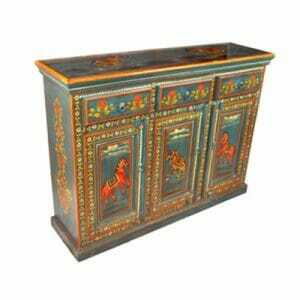 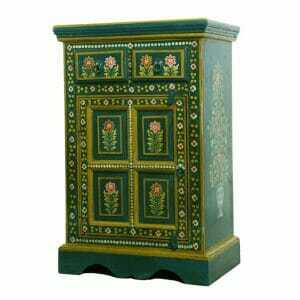 Every component has been hand carved and painstakingly painted by our artisan craftsmen in India using centuries-old techniques that have been passed down through the generations, making this Indian side cabinet an authentic piece of Indian artistry. 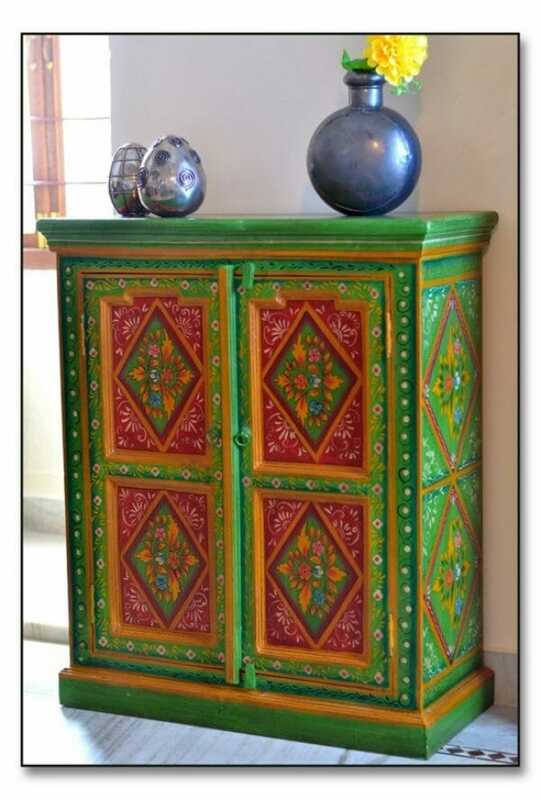 While we are sure this vibrant cabinet will delight your senses, if you would prefer your own unique choice of colours or would like to order this cabinet in a particular size, simply contact us today. 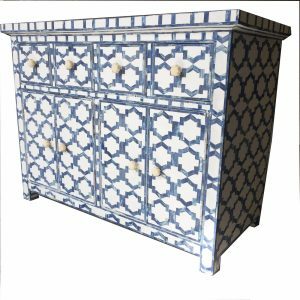 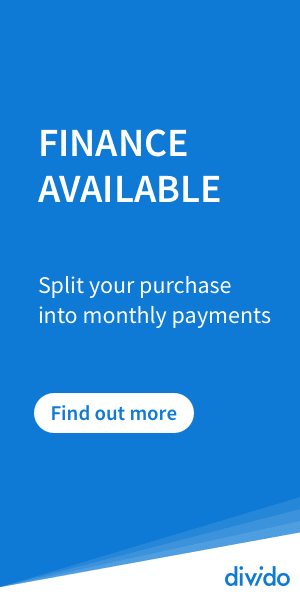 We are always happy to take custom orders for our customers so that they can be matched with the furniture of their dreams. 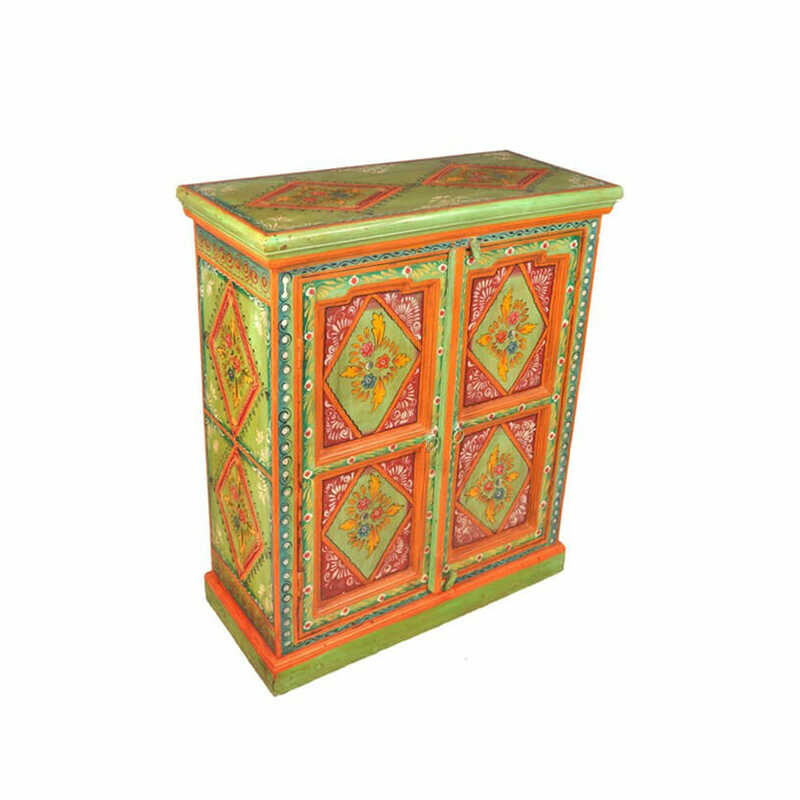 Like all of our wooden furniture, this mandala cabinet is crafted only from sustainably farmed Indian mango or sheesham wood as part of Iris Furnishing’s dedication to providing only environmentally sound and ethically traded furniture. 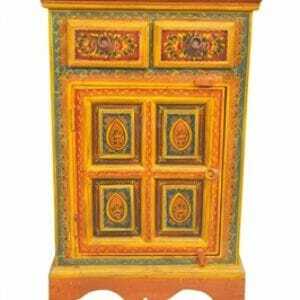 Iris Furnishing personally guarantees that these standards are met, regularly visiting our furniture suppliers and woodworkers in the Rajastan region throughout the year.